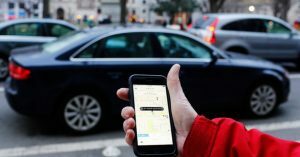 Ride Sharing Injuries Increase With Rise of Uber & Lyft. Technology is evolving every day, and because of that, the world we know is constantly changing. Since 2000, technology has made our lives easier, from shopping online to having groceries delivered to our homes. That was no different in 2009. That year, Uber Technologies, Inc. was founded in California. This ridesharing idea served as a competitor to cab companies but with more drivers and fewer wait times. In 2012, Lyft was created, which is a similar company to Uber. Since 2009, these companies have taken off. According to Tech Crunch, a website dedicated to the tech industry, in 2016, Uber provided roughly 5.5 million rides daily. Uber has reached a total of five billion completed trips since their inception. As of 2017, Lyft provides about 1 million rides per day. With so much ride sharing traffic on the roads, unfortunately, it leads to human error, car crashes and ride sharing injuries. 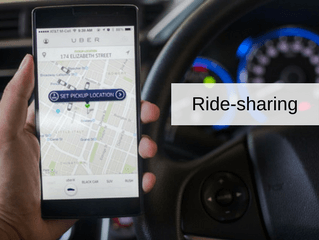 Texas state law requires that riding sharing companies such as Uber and Lyft carry automobile liability insurance policies to protect its customers and third parties who may be injured by one of their drivers. Once a driver turns on their Uber or Lyft application and is able to accept rides, Texas law requires these companies to carry liability insurance. Once the driver accepts a ride and until the ride is complete, the companies are required to carry substantially more liability insurance coverage. This is good news for people injured by the negligence of an Uber or Lyft driver. So what do you do if you are either hit by an Uber or Lyft driver or in a crash while using these ride-sharing apps? First, your physical well-being is most important. If you need medical attention and have the ability to call an ambulance, do so. This is the most important issue. Second, if you have the ability, call Perdue & Kidd, and one of our attorneys will respond to the scene. It is highly probable that the driver of the Uber or Lyft will contact their insurance company after the crash. The insurance company will likely send a representative to the scene of the crash. The insurance representative is not there to treat you fairly; the insurance representative is there to ensure the insurance company will pay as little amount of money as possible towards your potential ridesharing injuries and medical fees. It is imperative to have someone there representing your best interest. If you do not have an attorney from Perdue & Kidd at the scene, remember to never give the insurance company for Uber or Lyft a recorded statement. You are not required to do so, and it will only be used against you by the insurance company. Next, if healthy enough to do so, begin taking photographs and videos of the entire scene. Photograph the damage to your car and the Uber or Lyft driver’s car that caused the crash. Also, be sure to get the driver’s name and which company the driver is driving for. Such pictures, videos, and information can be important pieces of evidence that can help assist you in getting maximum value for your personal injury claim. In addition to taking pictures, obtain the names and contact information for any witnesses who saw the crash. In the legal world, uninterested witnesses who have no ties to the case can be very important. Insurance companies will expend a significant amount of time and energy attempting to discredit your recollection of the events leading up to the accident. Thus, witnesses can reinforce your testimony to assist in holding the driver and company financially and legally responsible. If you or someone you know has had a ridesharing injury because of the negligence of an Uber or Lyft driver, contact an attorney at Perdue & Kidd immediately. 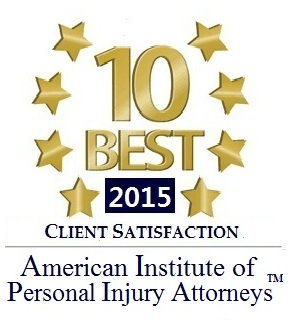 We are waiting to represent you in your claims against either of these companies.